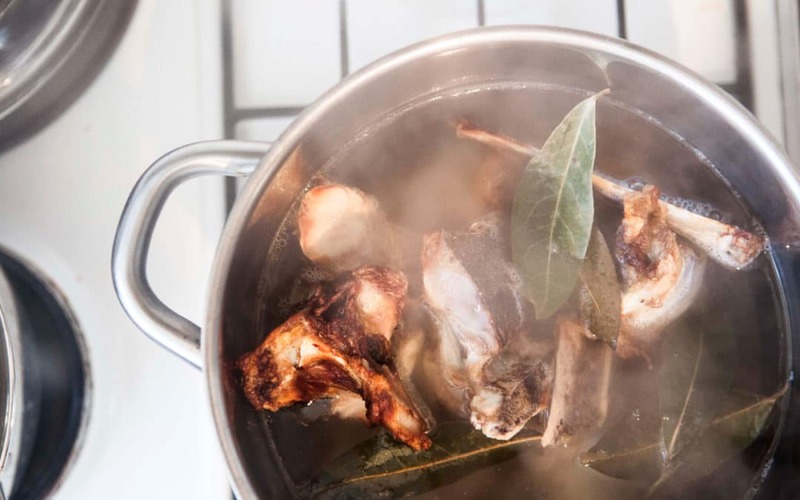 We love bone broth for it’s gut healing collagen and as a nutrient dense warming balance to cooling raw foods and juices. Save stems and ends of vegetables throughout the week to throw into your broth! Mushrooms add a rich umami flavour. Place all ingredients into a large pot or slow cooker, cover with filtered water and bring to a boil. Lower the heat to the lowest setting and cook for 24 hours. Cool down and strain before putting into the fridge. If you want to freeze the broth, pour into containers leaving an inch at the top as the liquid will expand when frozen. Chilled broth will have a layer of fat on the top, which can be used to cook or reheat with your broth for the nourishing fats.